Community Shed needs your tools! If you have machines, tools or materials lurking in your garage talk to the shed team today. You can lend stuff to the shed. To see how this would work click the button below. 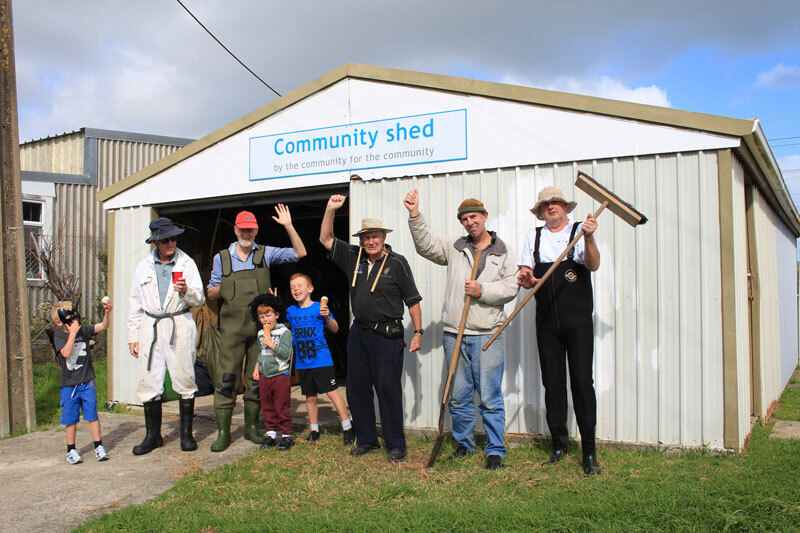 Our new community shed opened on Plimmerton Domain in March this year. A lot of work had gone on behind the scenes to secure the site, organise leasing, liaise with agencies involved and to research the whole Menzshed movement and how it operates. The team has great ideas for projects including some fundraising initiatives and projects to help the community. Sharpening lawnmowers, knives and scissors will be a regular service. The team also has a contract to make 100 wooden pest traps for Pest Free Plimmerton.At the open day seven people signed up straight way and many others expressed interest, offered to help and have arranged to lend equipment. For a start the shed will be open for people to join in activities on Wednesdays and Sundays from 10am till 2pm. When it gets into full swing the days and hours will be extended to suit those involved.